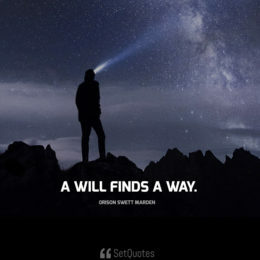 A will finds a way. 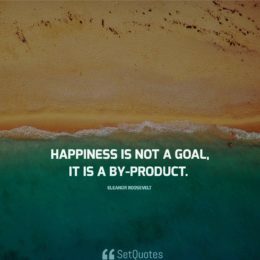 Happiness is not a goal; it is a by-product. 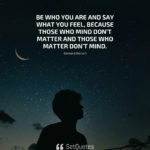 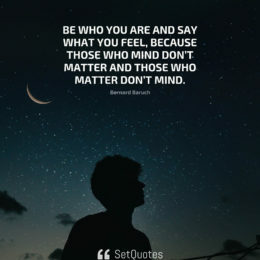 Be who you are and say what you feel, because those who mind don’t matter and those who matter don’t mind. 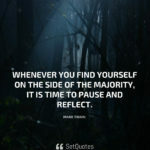 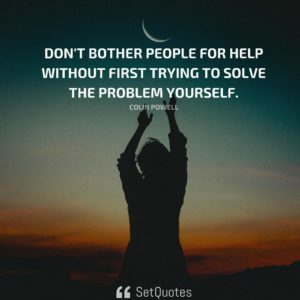 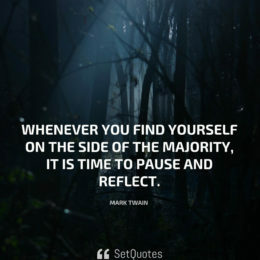 Whenever you find yourself on the side of the majority, it is time to pause and reflect. 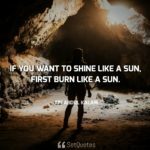 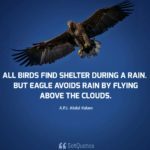 The healthiest competition occurs when average people win by putting above average effort.